As we transition into spring, this is a lovely side dish with a burst of brightness from the lemon. 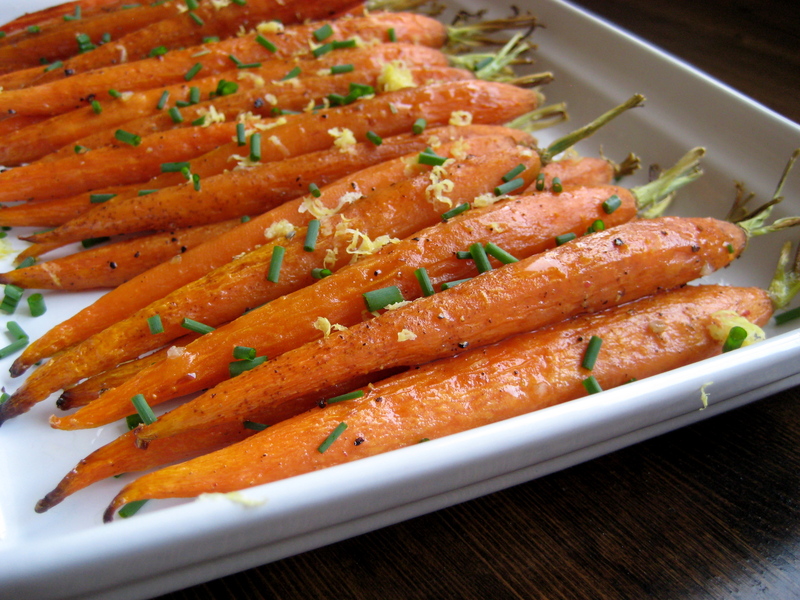 I love the sweetness of roasted carrots. If you can find them, use “real” baby carrots – not the kind that are the size of your thumb, but instead the ones that are slender with a little green on the end… Truly, a miniature carrot. Otherwise, slice larger carrots in halves or quarters length-wise. Thanks! 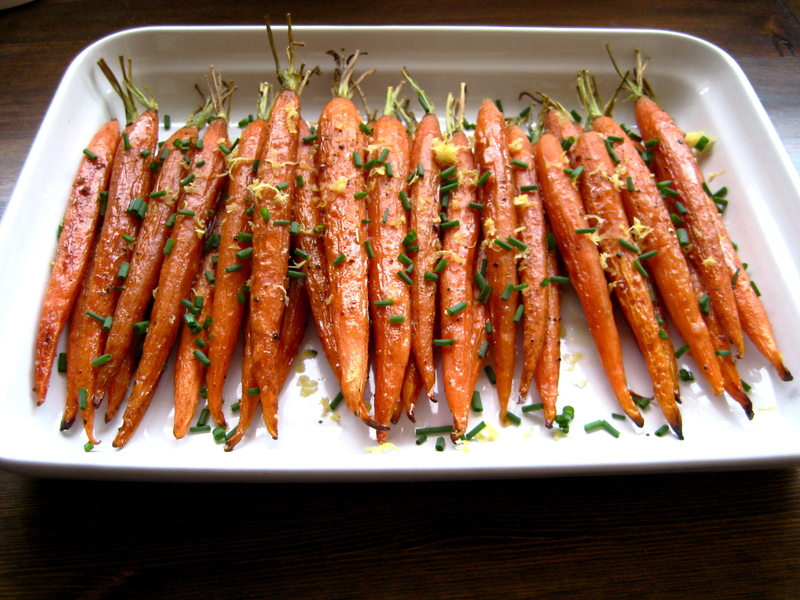 Such a simple way to doctor up carrots. I like it even more with colored carrots, but they are so pricey (here, at least).